I know us busy mama’s will soon we looking for holiday gifts for the men in our life. There are plenty of cute craft ideas out there. But if you’re like me and not super crafty and are looking for something that doesn’t require you to get out glue and paint, here are some ideas you can order from the comfort of your own couch. Online shopping for the win! This article contains affiliate links. If you make a purchase through one of my links I may receive a commission at no additional cost to you. Hydroflask – Hydroflasks are amazing for those needing to stay hydrated on the go. They will keep your water cold all day, even if left in a warm car while working or going for a run. 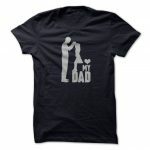 They come in a variety of sizes and colors so grab one in the favorite color for the men in your life. (I’d also recommend getting a straw lid as they are far easier to use than the screw off lids) My husband and I never leave home without our hydroflasks. My husband has the largest size and still doesn’t like to share. They are tough and can take a beating so it was also the perfect gift for my dad who does a lot of landscaping work. The hydroflask can be dropped or roll around in someones pick up truck and keep on going. Fitness Watch – Fitness watches are amazing for those trying to stay fit. They have come a long way from little clip on pedometers or plastic watches. If you’re looking for a simple option I use a Fitbit Surge which tracks your steps and has a GPS which can be used to track running/jogging. If you can afford a higher price point there is also the Apple Watch. My husband has been very happy with his upgrade that he received for Christmas and I’m starting to get Apple Watch envy. The series 2 is even water proof and can be used while swimming! Beard brush and conditioner – Like many a men these days my husband has a full beard…he’s actually not allowed to shave it or I mock him mercilessly. However, having that full beard requires a little bit of care. My husband loves the Honest Amish beard balm and this brush from The Beardman. Dollar shave club – Before letting the beard grow my husband used to shave…frequently. He used a membership to the dollar shave club to keep himself stocked with good razors without having to go to the store or overpay. You can order a gift membership or purchase a gift card so that they can order it themselves. 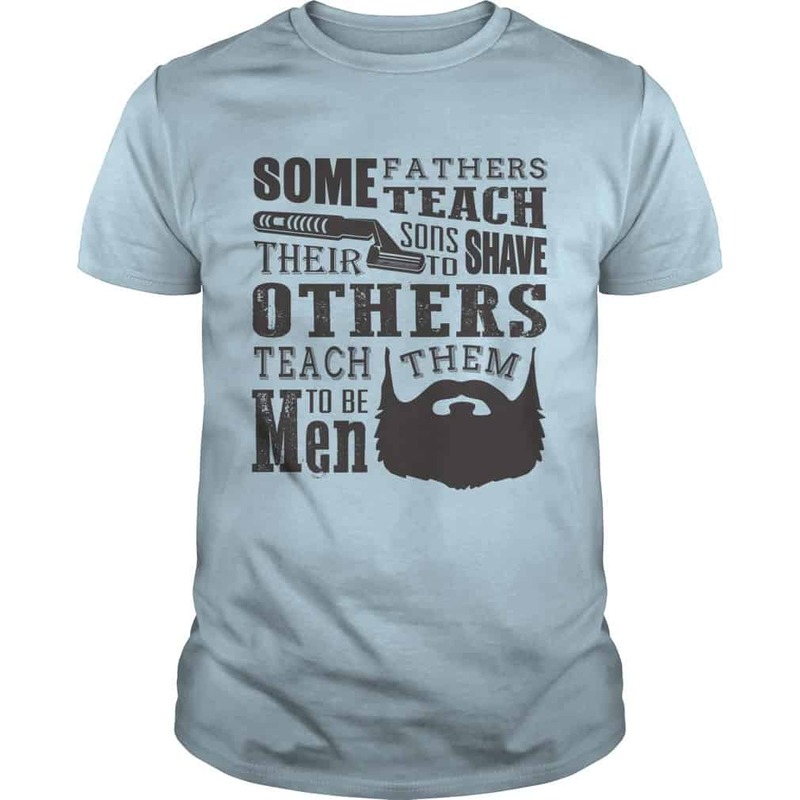 You could also grab a great shirt to celebrate their beardness like the one here. Custom coffee mug – Here’s a gift that is both functional and sentimental and it’s the item my husband will be receiving this year. You can make them on a variety of websites but I used Snapfish. Download the app to your phone and you can easily upload those baby photos and then hop on the website and create your mug. You can do it all on your phone but I find it easier to create projects on a larger screen. Custom shoes – Did you know that you can order custom shoes from some popular men’s brands?! We ordered the custom Vans for our wedding and my husband is already eyeing another custom set. Whether your husband loves Vans, Converse, or Nikes you can make them a custom pair on these shoes websites. Shirts from Robert Graham – There are many high end shirt brands but Robert Graham is one my husband loves. The shirts come in unique colors that you don’t find in a regular button up brand. Stance Socks – These premium socks come in fashionable colors as well as fun themes like Star Wars or sports teams. 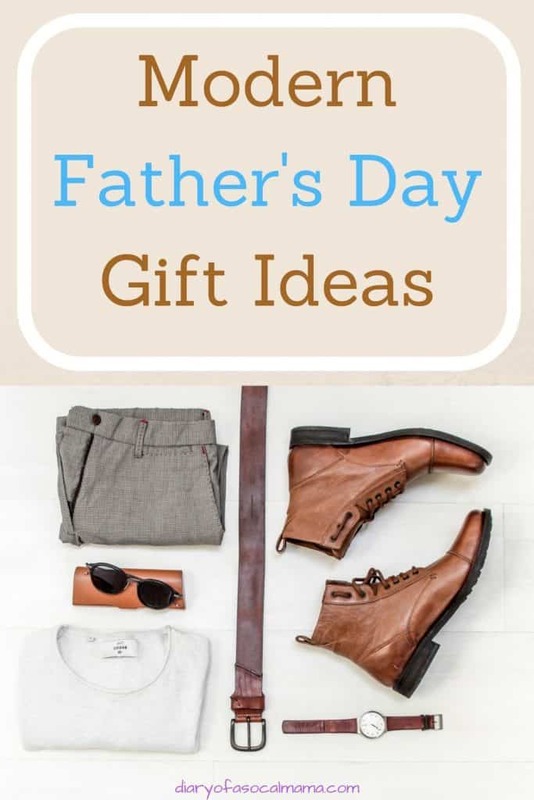 There’s sure to be a sock for every dad. 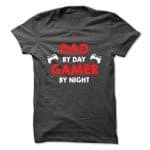 Fun shirts – Sunfrog & TeePublic have a bunch of unique shirts created by a variety of small designers. You’re sure to find a tee there for the pop culture aficionado in your life that you won’t find at your local Target. 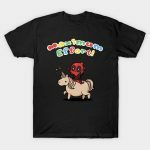 You can find shirts for Deadpool fans, Star Wars fans, gamers, or just a cute shirt for a dad with a daughter like the ones below. I hope you find the perfect gift this year! 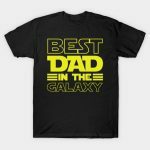 Buying for a Dad to be or a new(ish) Dad? Check out our list of Perfect Gifts for New Dads!